The Parameter Graph lets you adjust the value range of some parameter, mainly along the line of the path. On the graph, this range is shown in percents, from 0 to 100%. The point at 0 specifies the value at the start of the line, the point at 100 - at the end. The buttons , which are next to the parameters, opens the Parameter Graph dialog. This dialog contains the standard 3ds Max® curve control. To disable the Parameter Graph, click the button again. You can adjust the shape of the graph by adding points to the line and moving or scaling them. You can add Corner, Bezier-Smooth, or Bezier-Corner points. When a move or scale option is active, points can be selected much like objects in a viewport, by clicking a point, dragging a region around one or more points, and holding down Ctrl to add or subtract from the selection. When you select an individual point, its exact coordinates are displayed in the two fields below the graph at the lower left. You can enter values directly in these fields, but the values are automatically constrained as they are when you manually move or scale a point. You can zoom into the graph to make detailed adjustments. As you zoom in, the graph updates to show decimal measurements along the left vertical axis. You can pan anywhere on the graph with the horizontal and vertical scroll bars, use a button option, or the middle mouse button. Points can be deleted, and you can reset the graph to its default at any time. Moves a selected point in any direction, limited by the unselected points on either side. Constrains movement to the horizontal. Constrains movement to the vertical. 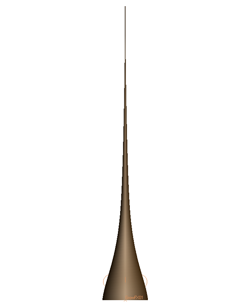 On a Bezier smooth point, you can move the point or either handle. Changes the output amount of control points while maintaining their relative position. On a Bezier corner point, this control is effectively the same as a vertical move. On a Bezier smooth point, you can scale the point itself or either handle. As with the move controls, scale is limited by the unselected points on either side. Adds a Bezier corner point anywhere on the graph line. The point makes a sharp angle when moved. Adds a Bezier smooth point anywhere on the graph line. Handles attached to the point create smooth curves when moved. When either Add Point button is active, you can use Ctrl+click to create the other type of point. This eliminates the need to switch between buttons. Returns graph to its default. For different parameters, the default graph maybe different. 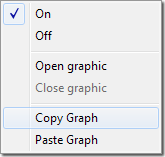 The following controls affect the view of the graph. The change in view does not affect the graph's results. Drags the graph in any direction within the viewing window. Shows the entire horizontal range of the graph. 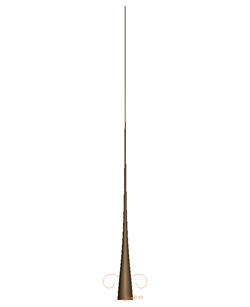 The scale of the curve will be distorted. Shows the entire vertical range of the graph. The scale of the curve will be distorted. Compresses or expands the graph in a horizontal direction. Compresses or expands the view of the graph in a vertical direction. Zooms in or out around the cursor. Draws a rectangular region around any area of the graph, then zooms to that view. This parameter allows the user to set the overall scale of the graph. Applies the scale factor to the graph. After clicking this button, the Scale factor value will be set to 1.0. Opens a dialog shown below where you can choose one of several presets. Click any button and the shape of the curve is changed. The Y range will be the same as the Y range of the previous curve. 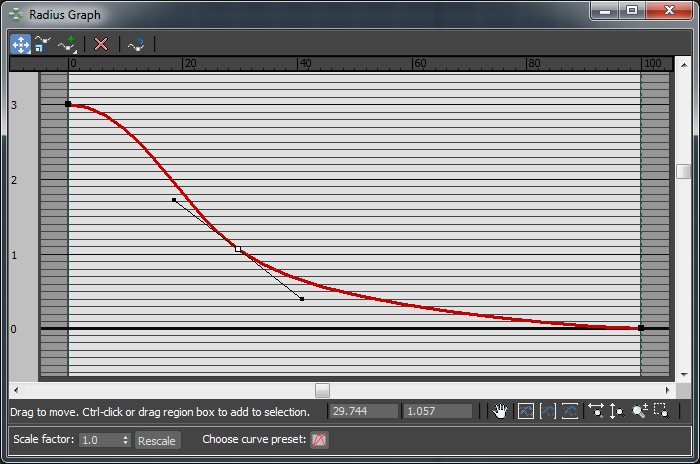 Note: If your curve has a straight line from 0 to 0 (for example), then after applying a preset it will remain straight. You can then use Undo (Ctrl+Z) to return to the previous curve, if necessary. When you right-click a button of any parameters, this menu appears. Turns on or off the graph. Opens the Parameter Graph dialog. Closes the Parameter Graph dialog. Pastes the graph from the copy buffer.